Suffolk House Antiques | An exceptionally small oak bureau bookcase. 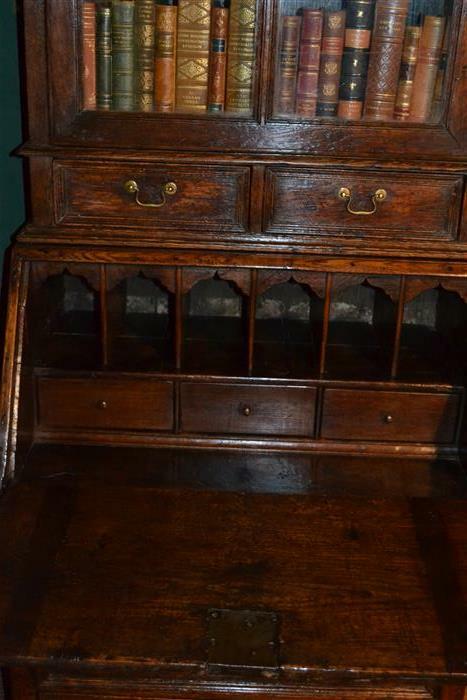 AN EXCEPTIONALLY SMALL OAK BUREAU BOOKCASE. 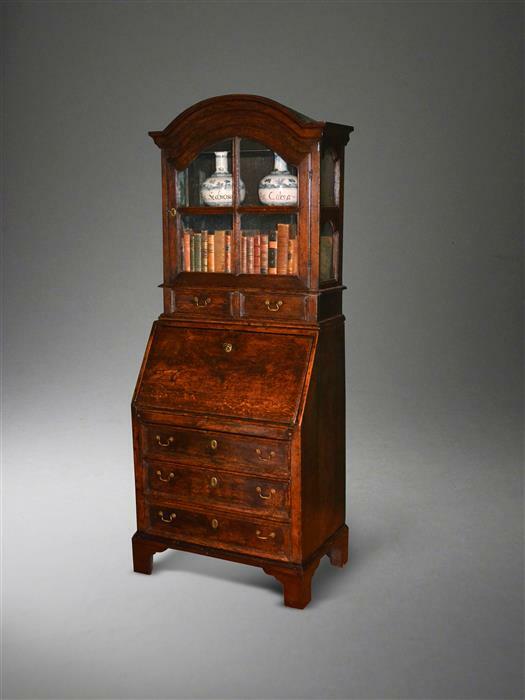 A very charming early Georgian oak bureau bookcase of unusually small proportions. The upper section has a domed cornice and four glazed panels to the door, a further two glazed panels to each side and two small drawers. The bureau has a nice interior with six pigeon holes and three small drawers. Below the fall are three long drawers. It measures just 28 inches wide x 17 inches deep and is 72 inches high. SOLD.